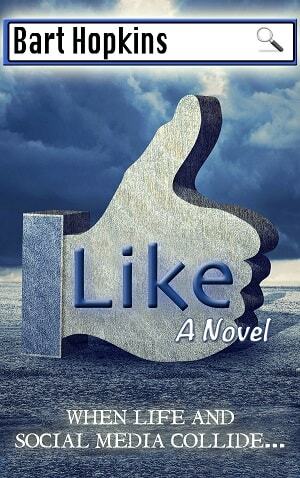 Today we are interviewing Bart Hopkins, author of the contemporary fiction novel "Like." I’m from a small island off the coast of Texas. In my teens I surfed every day I could, but I haven’t been on a surfboard in sixteen years. I read every night. I prefer movies to television, summer to winter, and soda to alcohol. I laugh as much as possible every day. I’ve got three awesome kids and my wife is my best friend. If given a BLT each day for lunch each day until I died, life would be good. U2, The Beatles, and the Foo Fighters are my favorite bands. When I’m not writing, I’m an Air Force weather guy, and I’ve been doing that for twenty-one years. Anyone who uses social media! That’s somewhere north of a billion people, and I think most people can relate to something in this novel. What inspired you to write a book about the power of social media? The "Like" journey began in January 2013 when, for reasons unremembered, my wife and I had a series of discussions on the ubiquitous presence of social media. Those talks were the genesis of this novel. Later on, we were watching the movie "Crash," and that inspired me to alter the layout of the novel … I love it when characters unwittingly are brought together by a common thread. The book follows four people and their experience with social media. Can you give us a brief profile of each of the people? There’s Greg, a married realtor who tweets, Facebooks, and blogs his way to success. Paul is a young, good-looking businessman, who stumbles on an old crush while Facebooking. 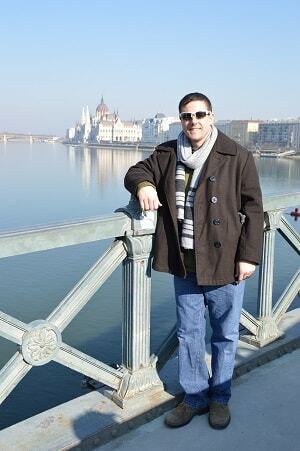 Martin is a professor and cancer survivor who uses the power of social media for good. And, Rose uses the Internet for the first time, and looks for someone special from her past. Relationships will blossom and be tested as the lives of these characters, and others, unwittingly collide with one another. Do you think society is aware of the power of social media? Why or why not? People are so smart, but social media is relatively new, so I think we’re only aware of the proverbial tip of this iceberg. We’re only just discovering the long-term effects on people, relationships, society, business—everything. Some extreme situations have raised awareness of bullying, sexual predators, and violence that stems from the most negative of our online habits. What will we learn in the next ten years? The next twenty years? Paul brings the creepy factor. Martin’s a charming older man and genuinely good. They’re polar opposites, but I loved getting to know both of them, so it’s a tie between Paul and Martin. I filled journals as a kid, and wrote some short stories after that, but my first serious efforts were in 2001. So, about fifteen years. My imagination is stronger than ever, and I’m better at my craft. I study plot elements, character development, literary devices … the things that were ignored or secondary when I was younger. I think the rule is that we get better at things with more experience, and I mostly follow the rules. Thirty books. I want to write at least thirty books and have a ridiculous amount of fun doing it. I mostly enjoy everything, but sometimes the revision process can be a little tiresome if I make a change that causes a series of other changes, that might cause other changes, and I’m forced to hunt them all down. I’m toying with two stories right now, each in their infancy. One is a supernatural thriller related to my short story, Recalculating. The other is post-apocalyptic fiction … I’ve wanted to give that a shot since I read The Stand in the early 1980s. Give it a shot, and if you don’t like it, I’ll give you one of my other books, free, and shoot me a line and say hey! Greg and Candy had been messaging each other back and forth the past couple of days since she first contacted him. Through some sort of unspoken understanding, neither of them friend-requested the other, or moved beyond the bounds of Facebook. I’m married. What good can come of this? he wondered, with no small measure of guilt. He wasn’t sure what he was doing, or what this was all about. Messaging my high school sweetheart? I must be out of my mind. This just can’t end well. An eclectic mix of thoughts bounced around his mind, some conflicting, some irrational, rebounding from the inner surfaces of his cranium like little rubber balls in a competitive racquetball match. You could almost hear the thwock! as they ricocheted around in there, the mental tug-of-war that transpired. Yet somehow he justified all of his actions, though he simultaneously wondered if they were wrong. It’s not like I’m cheating on Claire—it’s just a few messages, he thought. Then why don’t you tell her? he replied to himself. I knew Candy before I ever knew Claire—it was just a high school thing—she wouldn’t understand, he responded, avoiding his own question. She wouldn’t understand because it’s wrong! The arguments continued without answers or resolution. He honestly believed that, while the situation would appear strange, he wasn’t cheating, and that his wife just wouldn’t understand if he told her. Heck, he didn’t know if he completely understood it himself, but the communication with his ex seemed driven by three different things. For one, part of him was just curious. Another part of him wanted to show her how well he had done, sans Candice Graves, with his life. He was a success, and he wanted her to know that. He couldn’t identify why that mattered to him, but it did. The final part, well, it was a mystery he couldn’t explain even to himself. An enigma. It was without explanation, or maybe the explanation was one that he dare not voice or even think. He rationalized the situation with an imperfect analogy: if my dog ran away years ago, and went to live with another family, I’d want to know the dog was okay, even if I never petted the dog again. He shook his head, snapping back to the here and now of his kitchen.